With feature-rich programs such as Cinema 4D and 3DS Max, the emergence of websites populated with 3D renderings was just a matter of time. Along with clean, minimal flat style designs, lavish illustrations, and dynamic abstract backgrounds, technology has become an excellent instrument for bringing to life innovative ideas and delivering unique and enjoyable user experience that comply with modern trends. It has found its proper place in promo websites dedicated to movies, animated cartoons or upcoming games. Leading giants such as MasterCard, or YouTube as well as famous music artists or fashion houses opt for semi-realistic worlds and detailed 3D models to naturally direct the attention to important events or present new products in an original way. There are other spheres and projects that derive benefits from it. In our collection we have compiled different examples from generators to static image backdrops made according to this solution. Get Peanutizeme is a fancy generator with considerable potential. This enjoyable browser game lets you create a Peanuts style character spiced up with your personality. You can start fresh or edit the default personage. The interface is realized with the help of a 3D environment and neat flat controllers. Suisse Mania offers you an immersive virtual tour across Switzerland. The team has created an unforgettable and semi-realistic 3D map of the country full of picturesque landscapes and landmarks. Embark on a hot air balloon and explore the locality. Dragons: Race to the Edge is a traditional promo website created to support a new season of the television series based on the fantastic DreamWorks animated movie. The project echoes with the cartoon and leverages scenes from it to reflect the adventurous mood as well as more closely familiarize users with the Dragons world. Mighty Nice is a creative digital studio that shows off its potential via a full-screen multimedia slider. The latter includes several animated works made with the help of 3D solutions. Tablet users, unfortunately, do not have an opportunity to enjoy the full diversity, since the mobile version includes only a static backdrop, but it also charms with a funny and motivational character. Inner Space invites you to dive into a splendid virtual reality. As you may have guessed, a combination of 3D models, animations and sound effects have injected life into the concept. 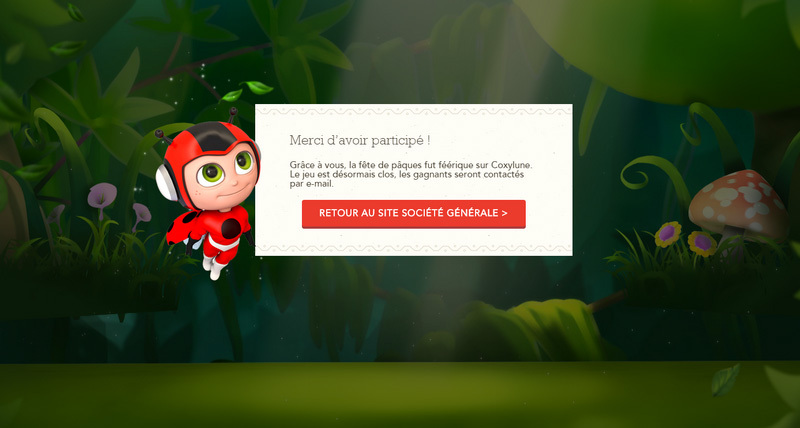 La Fabrique a Oeufs is a browser game with marvelous natural surroundings. The overall design is built with the help of vibrant illustrations, accompanying effects, flat graphics, decorative elements and of course, friendly 3D models. Kuato Studios greets online visitors with a lovely screenshot of their latest product, ‘Safari Tales’. The picture is taken from the game that features a 3D environment and main characters. Destiny Planet View is an entertaining website that lets you explore planets. The fantastic and unique experience is achieved through a professional 3D visualization of space that is skillfully charged with subtle motion and interactivity. The website comprises several bright and charismatic personages. They are set in motion to add energy to the project and express the sports mood. Although the tablet and mobile versions include only a static variant, nevertheless, it still catches the spirit of the grandiose sports event. Blissard Animation Studio is a notable producer of top-notch games where 3D technologies unlock their full potential. It is not surprising that the front page of their official website welcomes visitors with a mind-blowing 4d documentary promo. Popota’s homepage comprises some short videos with a cute mascot in the leading role. They help the project to burst with personality, femininity, and glamour as well as stand out from the crowd. PlayFest Island is a fully interactive promo website created in support of an outstanding PlayStation product. It echoes with the product design and theme as well as clearly states the idea of the game. Build your Boxtroll is an online generator with a friendly yet a bit brutal atmosphere. It delivers an outstanding user experience thanks to a detailed fantasy environment, interactive elements, funny mascots and accompanying sound effects. Sweet Punk is a digital agency that breaks away from the others with its original welcome screen and asymmetrical layout. The front page has several eye-catching background images that are clever combinations of 3D renderings and photo manipulations. As befits the majority of browser games Captor Mania gets its beauty from the professionally created 3D environment improved by accompanying animations and interactive features. The project looks bright, juicy and engaging. The team leverages high-end technologies, including 3D solutions to mimic the atmosphere of the Stone Age full of beasts, deadly creatures, pristine landscapes and dangerous routes. There are fantastic scenes and animated personages. TomorrowLand is a mind-blowing fully interactive promo website that has taken advantage of the latest techniques. It invites you to explore the length and breadth of this vigilantly crafted world filled with realistic effects and professionally imitated nature details. Brand new web project by Boeing offers users to start an unforgettable 3D space adventure. You get an opportunity to examine international space station that has been planned down to the last detail. Although The Universim does not produce such an overwhelming impression on tablet and mobile screens, on huge desktops it certainly steals the show. The website is an instrument for raising money to release a new game. It includes a trailer, fantastic scenes of the future product and, of course, a short video with the 3d setting. Rainbow Road is a first-rate Chrome Experiment. The project offers you to participate in a small race that is surrounded by a bright, fancy and slightly enigmatic 3D setting. Vibrant coloring, geometric appeal, and tiny accompanying effects create an exceptional experience. Browser games, online applications, promo pages, generators and some seasonal websites, as a rule, utilize 3D scenes and models. The approach fits quite well with these projects, naturally separating them from the others. It is one of the alternative ways to create a unique experience and breathe into the project a high-tech vibe.